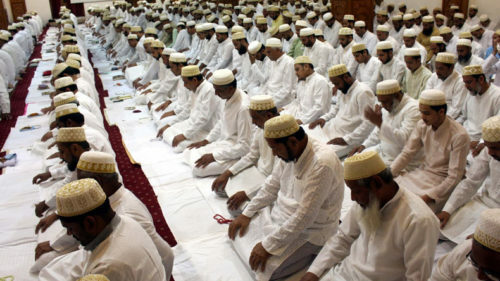 Japanese Prime Minister Shinzo Abe on Wednesday began a 2-day visit to India here with a warm hug from his Indian counterpart Narendra Modi, who took him through a road show to Mahatma Gandhi’s Sabarmati Ashram and the iconic Sidi Saiyed mosque representing the once syncretic culture of Ahmedabad. 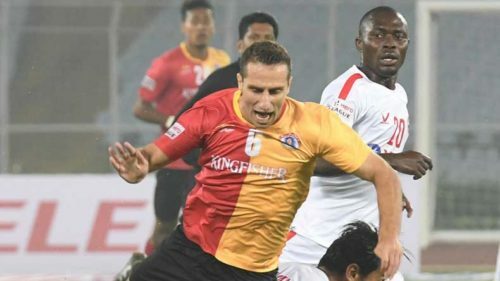 They also witnessed the playing of the 'Jal Tarang' on Sept 13, 2017. 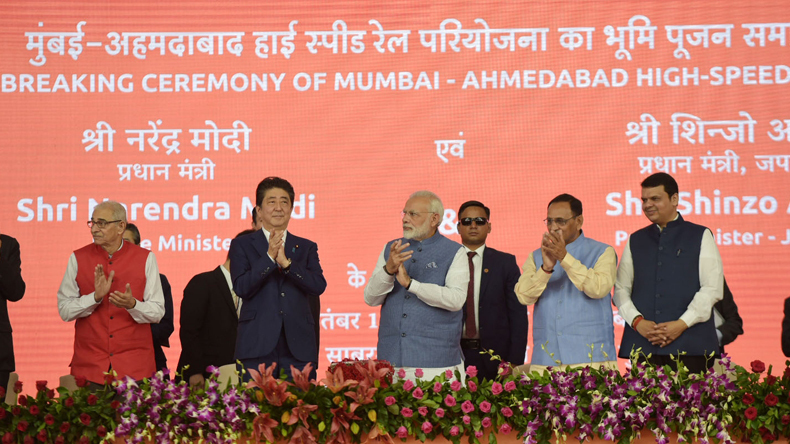 Prime Minister Narendra Modi and the Prime Minister of Japan Shinzo Abe attended the Ground Breaking ceremony of Mumbai-Ahmedabad High Speed Rail Project, at Ahmedabad, Gujarat on Sept. 14, 2017. 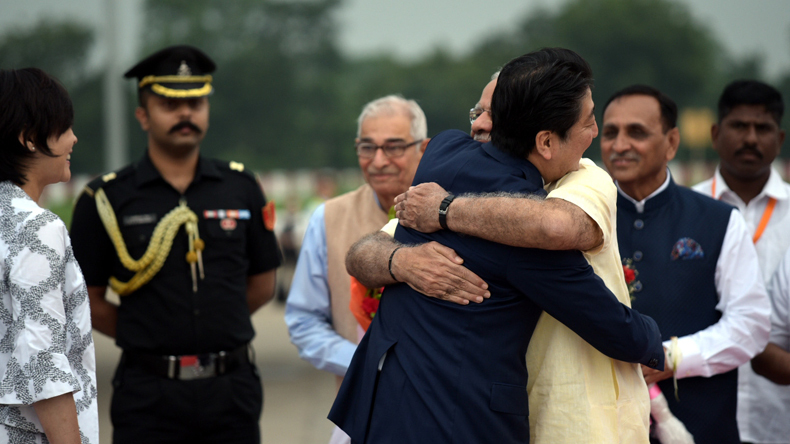 Japanese Prime Minister Shinzo Abe being welcomed by Prime Minister Narendra Modi at Ahmedabad airport, Gujarat on Sept 13, 2017. 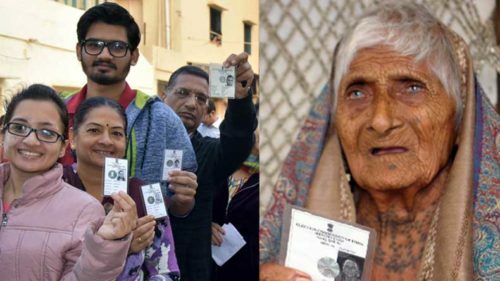 Also seen are Gujarat Governor OP Kohli and Chief Minister Vijay Rupani. 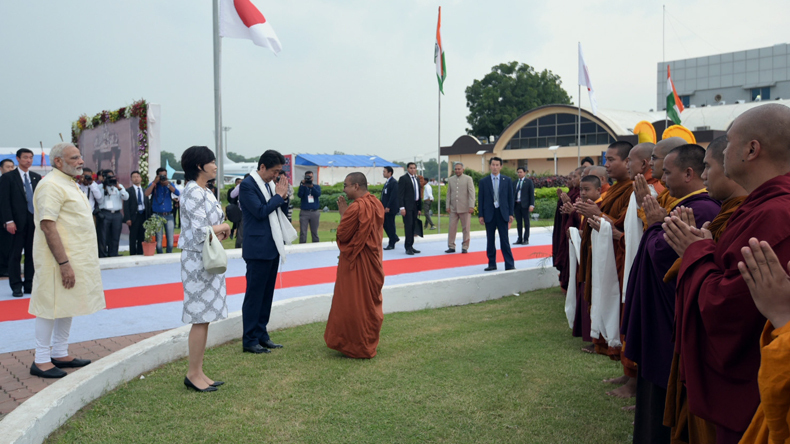 Japanese Prime Minister Shinzo Abe being received by Prime Minister Narendra Modi at Ahmedabad airport, Gujarat on Sept 13, 2017. 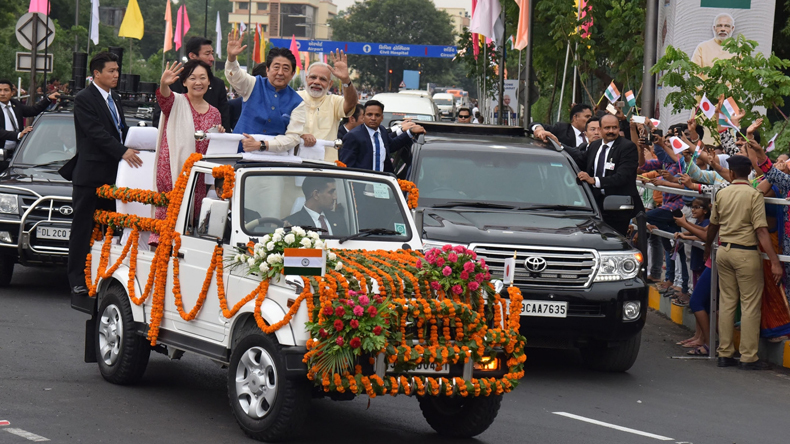 Prime Minister Narendra Modi with Japanese Prime Minister Shinzo Abe in Ahmedabad, Gujarat on Sept 13, 2017. 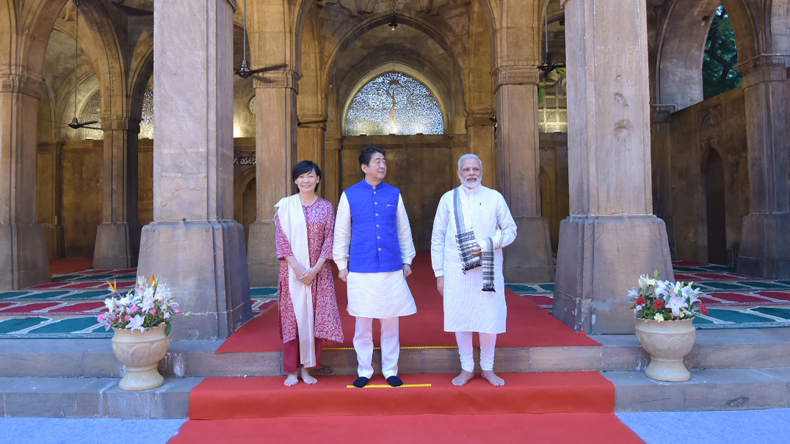 Prime Minister Narendra Modi and Japanese Prime Minister Shinzo Abe visit the 'Sidi Saiyyid Ni Jaali' in Ahmedabad on Sept 13, 2017. 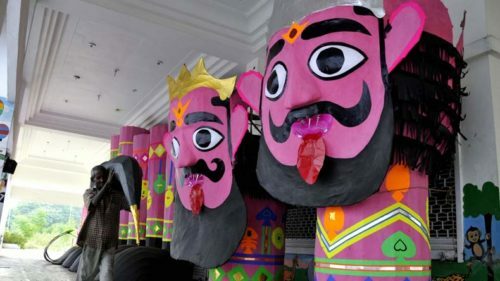 Prime Minister Narendra Modi during the India Cultural Road Show organised in honour of Japanese Prime Minister Shinzo Abe in Ahmedabad, Gujarat on Sept 13, 2017. 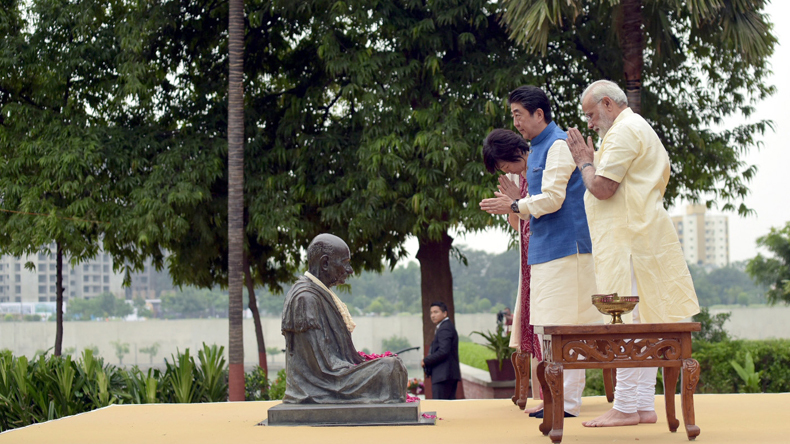 Prime Minister Narendra Modi and Japanese Prime Minister Shinzo Abe pay tributes to Mahatma Gandhi at Sabarmati Ashram in Ahmedabad on Sept 13, 2017. 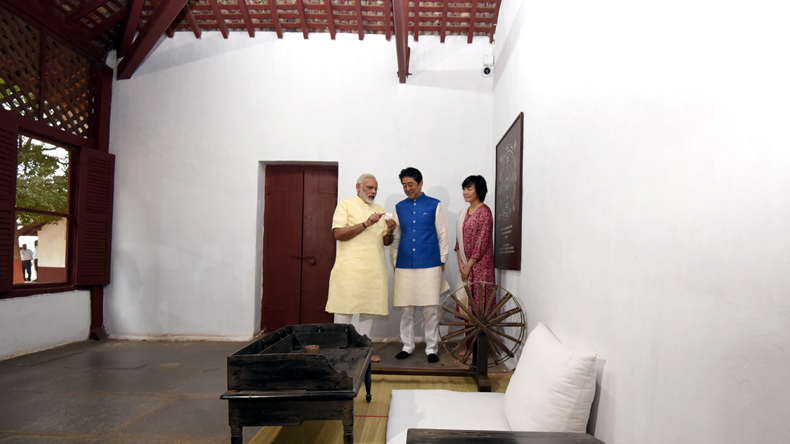 Prime Minister Narendra Modi and Japanese Prime Minister Shinzo Abe at Sabarmati Ashram in Ahmedabad on Sept 13, 2017. 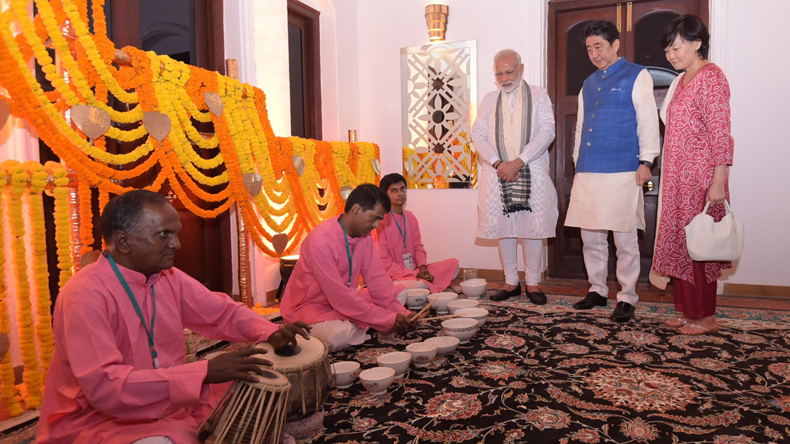 Ahmedabad: Prime Minister Narendra Modi and Japanese Prime Minister Shinzo Abe witness the playing of the 'Jal Tarang' in Ahmedabad on Sept 13, 2017. 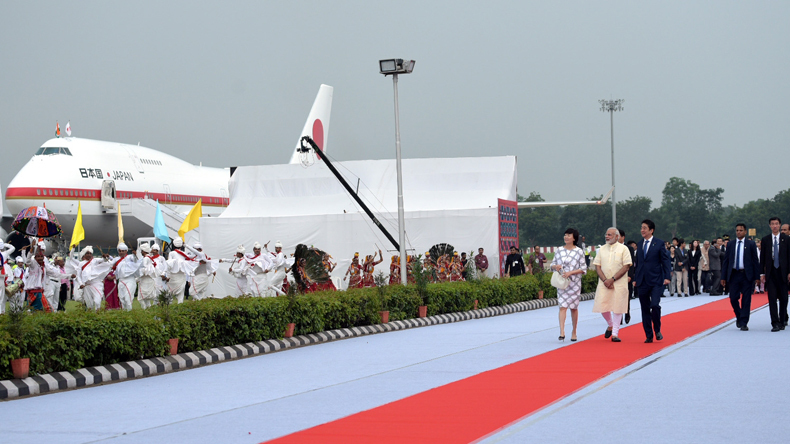 Prime Minister Narendra Modi and the Prime Minister of Japan Shinzo Abe at Ground Breaking ceremony of Mumbai-Ahmedabad High Speed Rail Project, at Ahmedabad, Gujarat on Sept. 14, 2017. 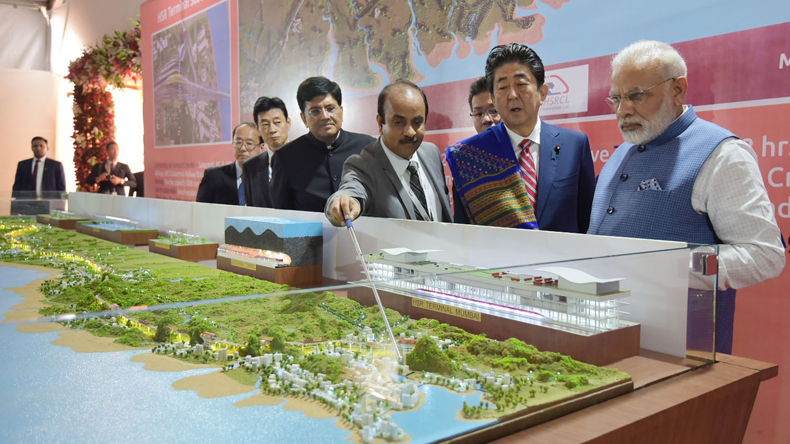 Prime Minister Narendra Modi and the Prime Minister of Japan Shinzo Abe at Ground Breaking ceremony of Mumbai-Ahmedabad High Speed Rail Project, at Ahmedabad, Gujarat on September 14, 2017.